Do I need a new AC system? Your air conditioning and heating systems are rarely given a thought unless there is a problem. If you live somewhere subject to temperature extremes, this can be disastrous. Air conditioning in Fort Worth, Texas is taken very seriously. 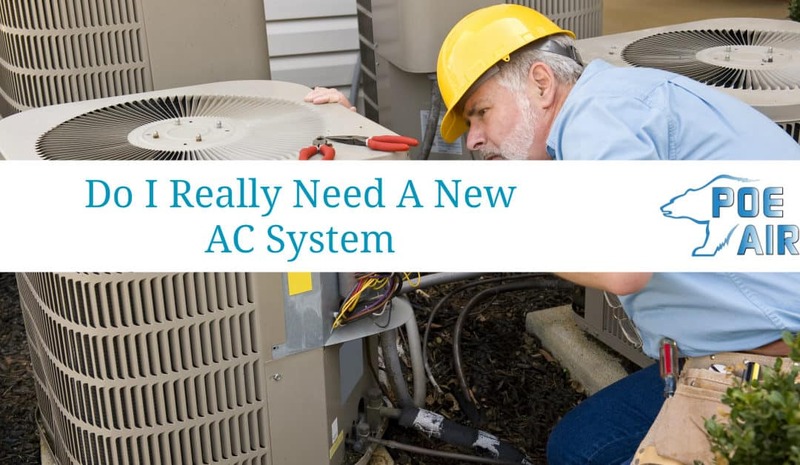 Most people roll into air conditioning and the heating season without giving a thought to the likelihood of their air conditioner surviving one more summer or the heat pump/furnace making it through the winter. Almost nobody would jump into their old junker car for a cross-country road trip without thinking about maintenance or wonder if that old thing even had another trip left in it. This behavior is done season after season when it comes to your air conditioner. An air conditioner is like a car. It only has a certain amount of miles/hours it will go. Maintenance will certainly extend this lifespan, but after enough years you are on borrowed time. Ignoring this fact will put you on the side of the road (and it will be raining) or in the case of your heating and cooling it will be Jan.1 or July 4th. I have never seen a scientific study, but after many years as an HVAC contractor in Fort Worth, I know when the AC prefers to break and it is Jan 1, or July 4th. We know better than to drive a car into the ground and act surprised when we are stranded, but the air conditioner is hidden and easy to forget. Frequent Breakdown: usually between year 8 and 12 I see the frequency of breakdowns dramatically increase. Eventually, it costs more to keep her. High Utility costs: Weigh this with the Frequent Breakdowns when deciding if it costs more to keep her. This can be a sign of declining performance. Dust/Humidity/hot or cold spots: All of these can be signs of deterioration, degrading performance or improper installation. All should be addressed. Poor performance: A decline in comfort may be correctable, or a sign that the end is near. Strange noises: Strange frightening new noises are not from a recent upgrade that was downloaded via wireless. A ghost hasn’t taken up residence there. The Ghost of Comfort Past will be coming if you don’t consider “Should I repair or replace my Air Conditioner” soon! Refrigerant Leaks: They have been an industry-wide issue the last 20 years. The recent Law changes have made refrigerant leaks more expensive to live with. Leaks don’t go away. Like my teenage boys, leaks get bigger and bigger and cost more and more to feed. You should consider replacement. I’m attached to my boys. I will keep feeding them. Some of the above may be corrected with maintenance/repairs. Eventually, all air conditioning and heating systems pack up and leave, taking your comfort with them. You will much happier if you plan and budget for that day. LEARN about SEER, EER,, MERV/CDLR, Government Law Changes, etc. BE POSITIVE, The light at the end of your tunnel may be a TRANE!